The demand for increased levels of safety in the workplace continues to expand, with calls for better protection for workers, the plant, the environment, and surrounding communities all weighing on operators to look for ways to reduce risk. Industrial plants, especially those employing hazardous or flammable materials, can have very high risk levels. Reducing the probability of accident or failure can bring a very substantial benefit for long term operation. 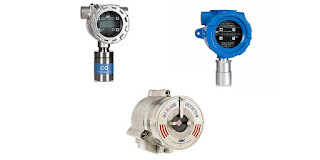 Sierra Monitor Corporation manufactures hazardous gas and flame detection equipment for application in commercial and industrial environments. Their sensors and stations enable continuous monitoring of plant conditions and early warning of potentially dangerous conditions. The application possibilities range through every industry. The document included below provides an overview of the company's products and their potential application. Share your hazardous gas and flame detection monitoring challenges with process measurement specialists, leveraging your own knowledge and experience with their product application expertise to develop a safer solution for your facility.